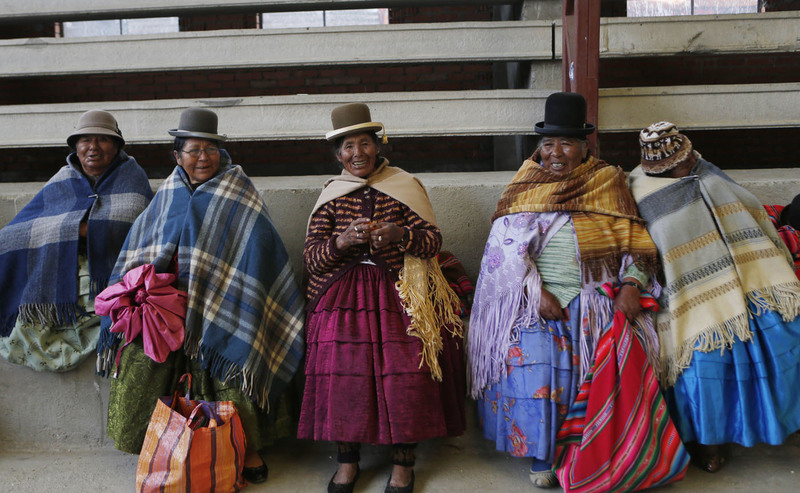 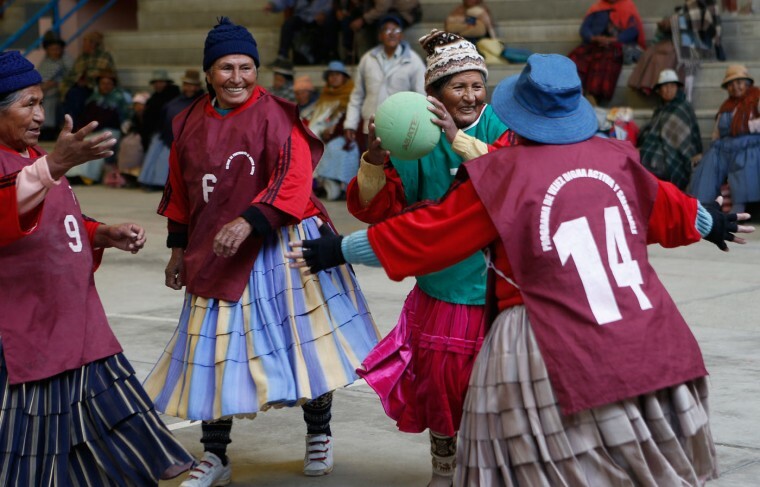 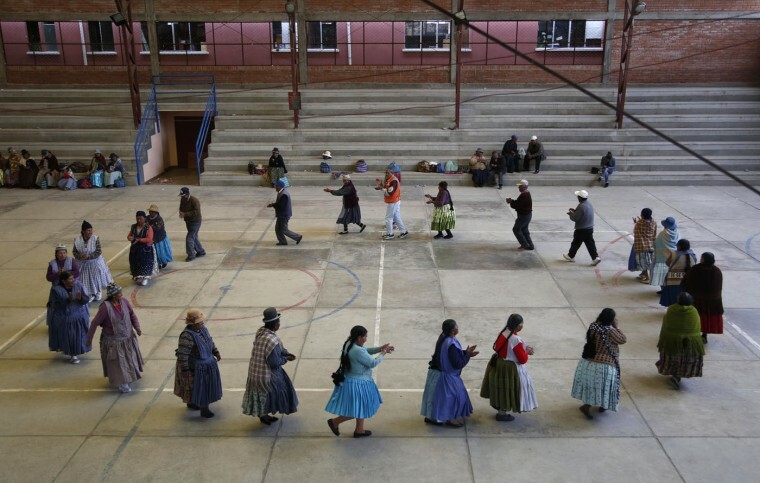 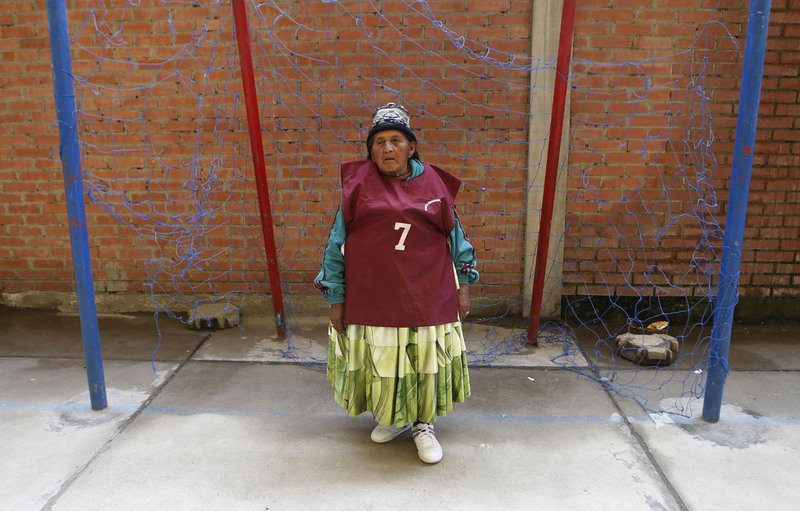 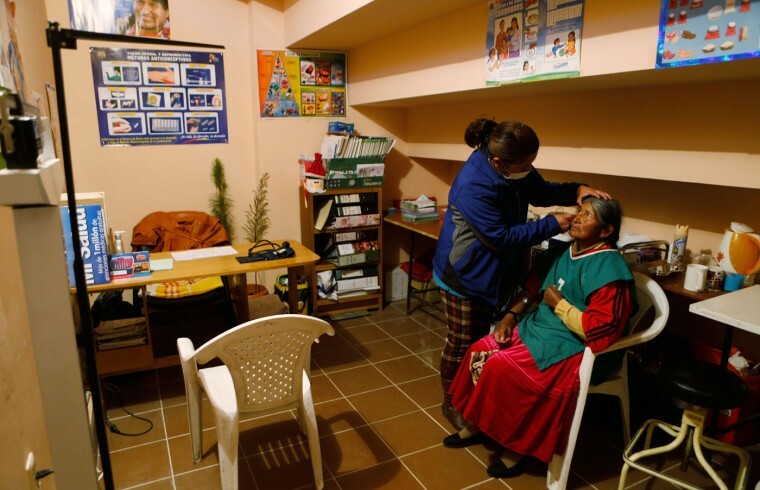 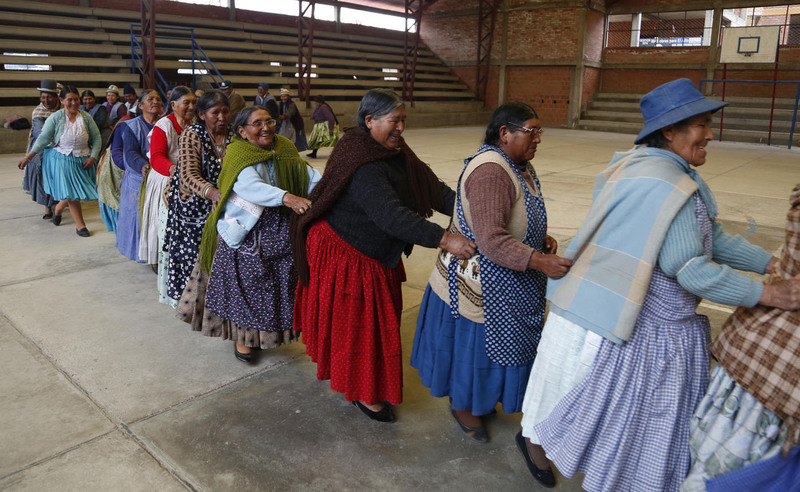 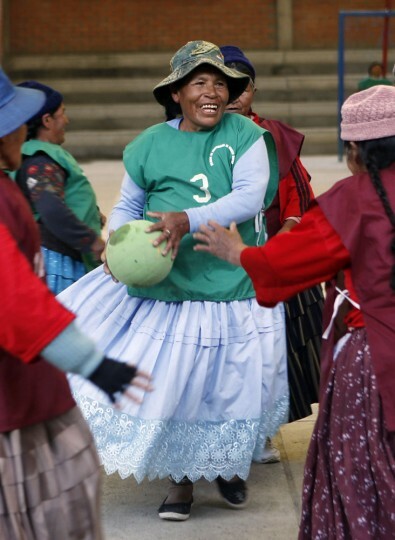 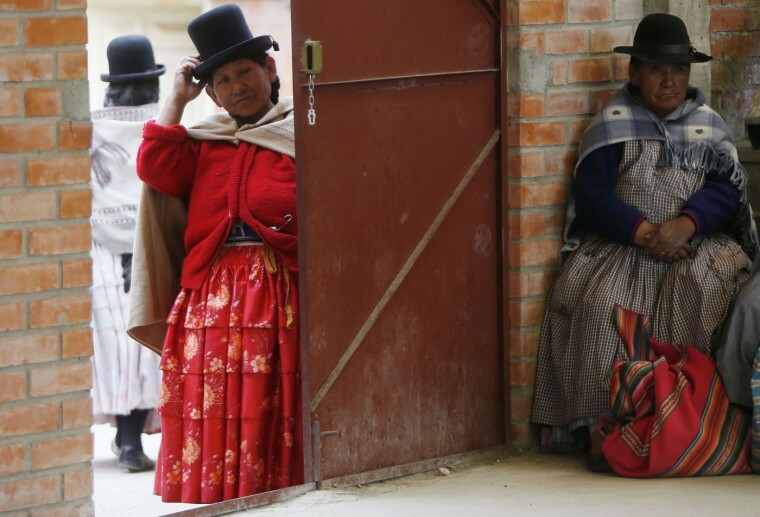 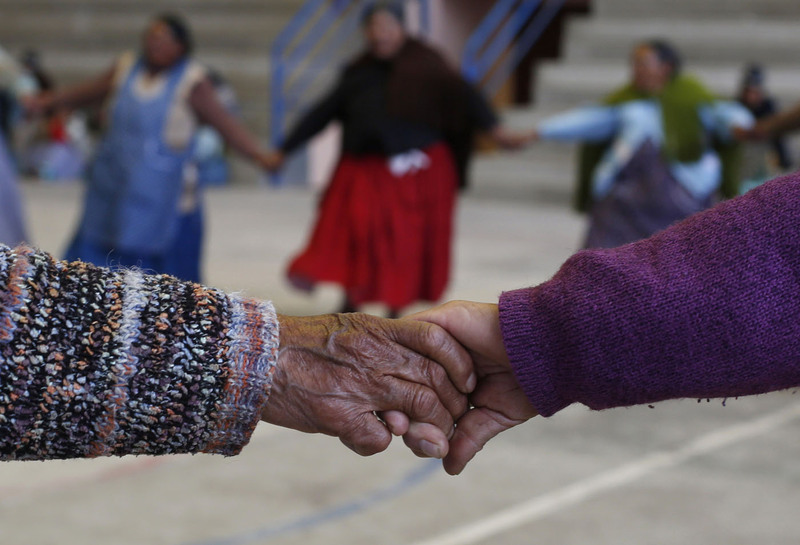 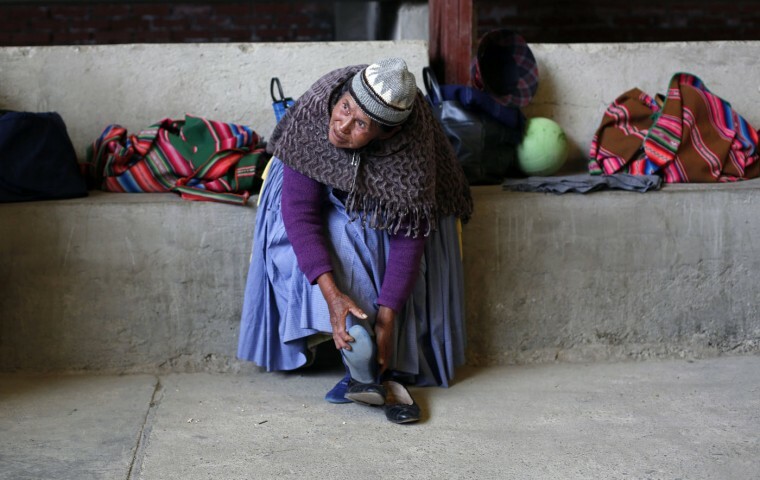 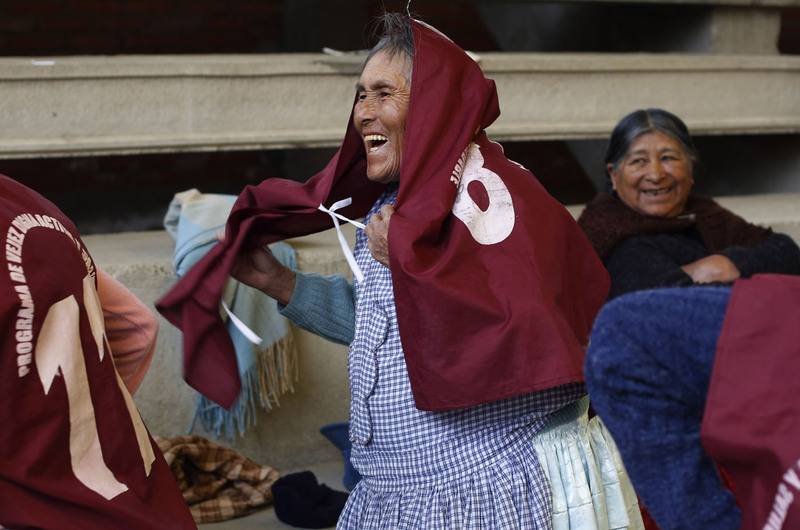 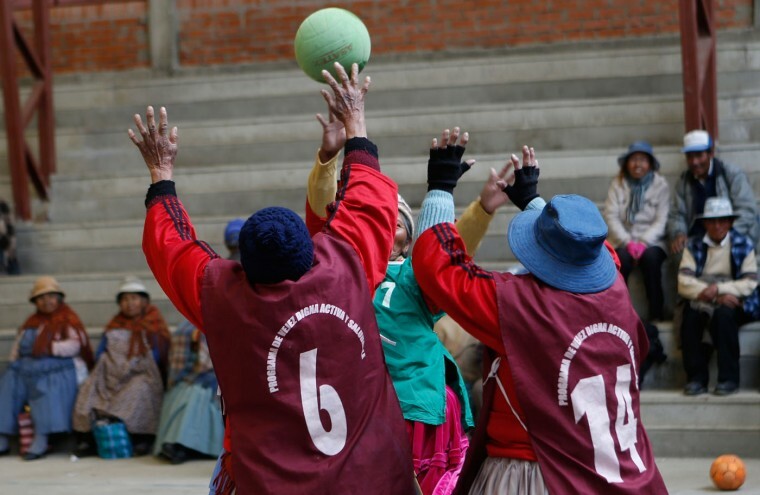 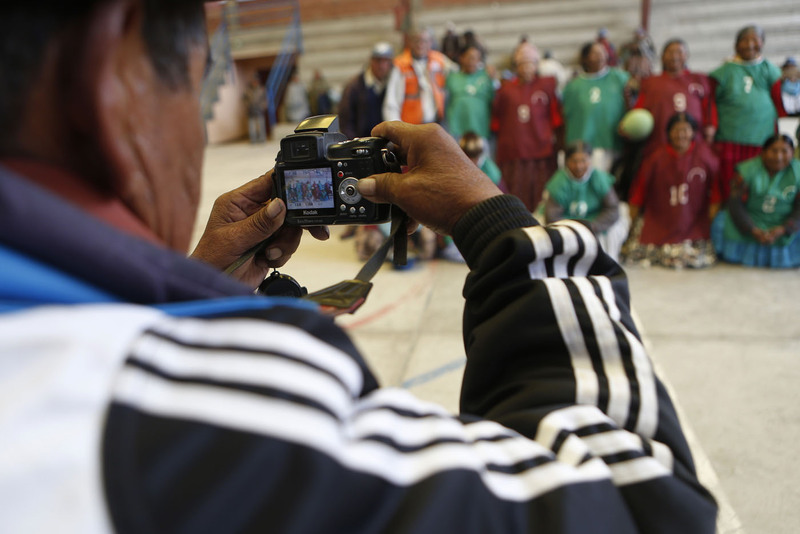 Known in the Aymara language as “awichas,” or grandmothers, the women pull sports jerseys over their long-sleeved blouses and ruffled skirts, then perform warm-up exercises while singing a childhood song. 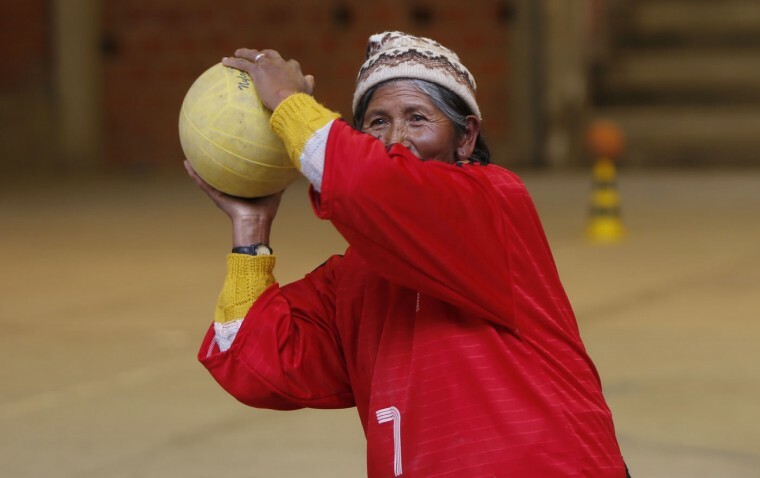 “There are days my knees hurt from rheumatism, but when I play it goes away,” said 77-year-old Rosa Lima, who first began doing simple exercises eight years ago, then later took up team handball. 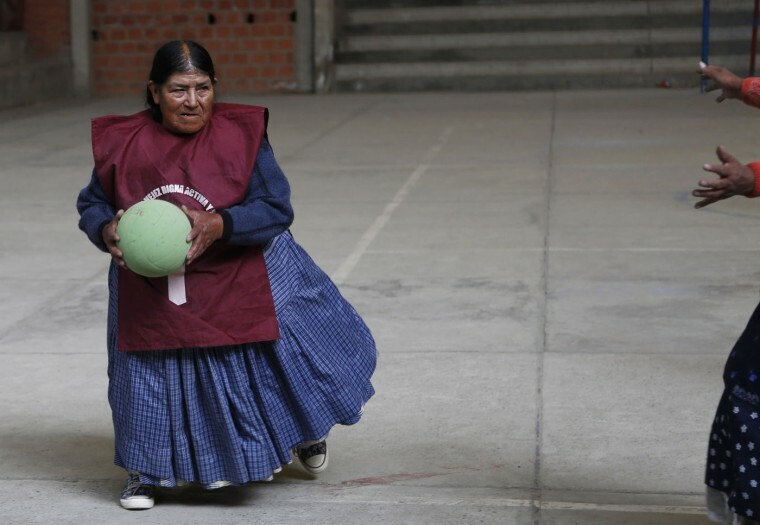 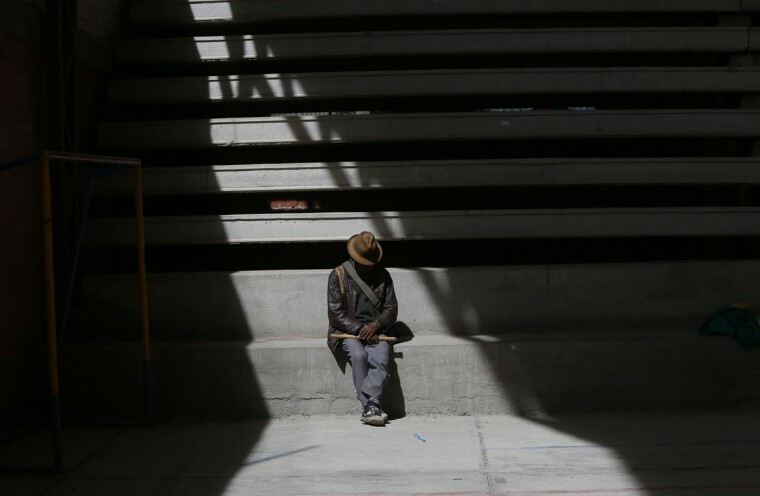 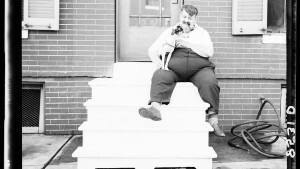 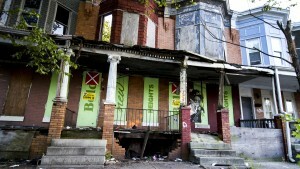 She lives alone and looks forward to playing with her friends every week.